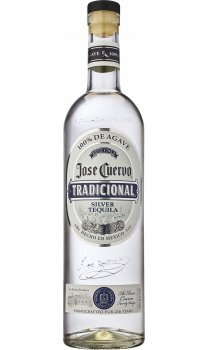 The beauty and heritage of the Jose Cuervo Tradicional spirit is complemented by the unique methods of Jose Cuervo production, packaging and bottling. This legendary, handcrafted tequila has been made from Blue Agaves harvested at the peak of their maturity and baked in stone and clay ovens. Carefully fermented and double distilled, Jose Cuervo Tradicional rests in white oak barrels to become the proud symbol of the Cuervo family tradition. To preserve the authenticity of Jose Cuervo Tradicional, only a limited quantity is distributed each year. Jose Cuervo Tradicional is 100% Blue Agave tequila produced the original, handcrafted way. Every individual bottle (designed after the original Jose Cuervo bottle) is assigned its own unique number, letting you in on a special Cuervo exclusivity. Deconstructed Sangrita: Halved Cherry Tomatoes Celery Salt Sugar Coarse Black Pepper Dip half a cherry tomato in each of the dips, sip on some Ice Cold Tradicional, eat your tomato and sip again.Enjoy!